The key difference between synchronous and asynchronous DRAM is that the synchronous DRAM uses the system clock to coordinate the memory access while asynchronous DRAM does not use the system clock to coordinate the memory access. The computer memory stores data and instructions. There are mainly two types of memory called RAM and ROM. RAM stands for Random Access Memory while ROM stands for Read Only Memory. The RAM further divides into static RAM and dynamic RAM. This article discusses two types of dynamic RAM namely, synchronous and asynchronous DRAM. RAM is a volatile memory. In other words, the data and instructions written to the RAM are not permanent. Therefore, the data will erase when power off the computer. It is possible to perform both read and write operations in RAM. Moreover, it is fast and expensive. There are two types of RAM. They are the Static RAM (SRAM) and Dynamic RAM (DRAM). The SRAM requires a constant flow of power to retain data while DRAM requires constant refreshes to retain data. Synchronous DRAM and Asynchronous DRAM are two types of DRAM. In Synchronous DRAM, the system clock coordinates or synchronizes the memory accessing. Therefore, the CPU knows the timing or the exact number of cycles in which the data will be available from the RAM to the input, output bus. It increases memory read and write speed. Overall, the Synchronous DRAM is faster in speed and operates efficiently than the normal DRAM. The first personal computers used asynchronous DRAM. It is an older version of DRAM. In asynchronous DRAM, the system clock does not coordinate or synchronizes the memory accessing. When accessing the memory, the value appears on the input, output bus after a certain period. 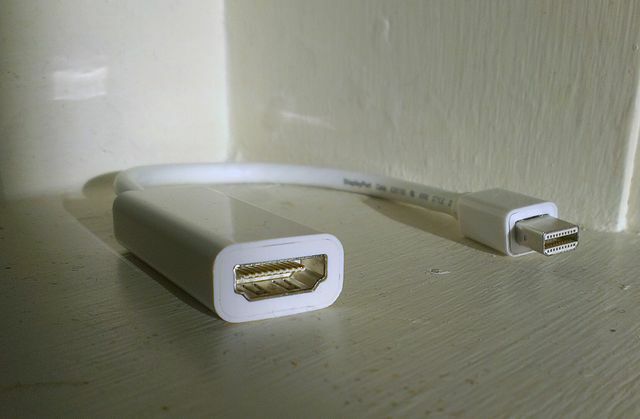 Therefore, it has some latency that minimizes the speed. 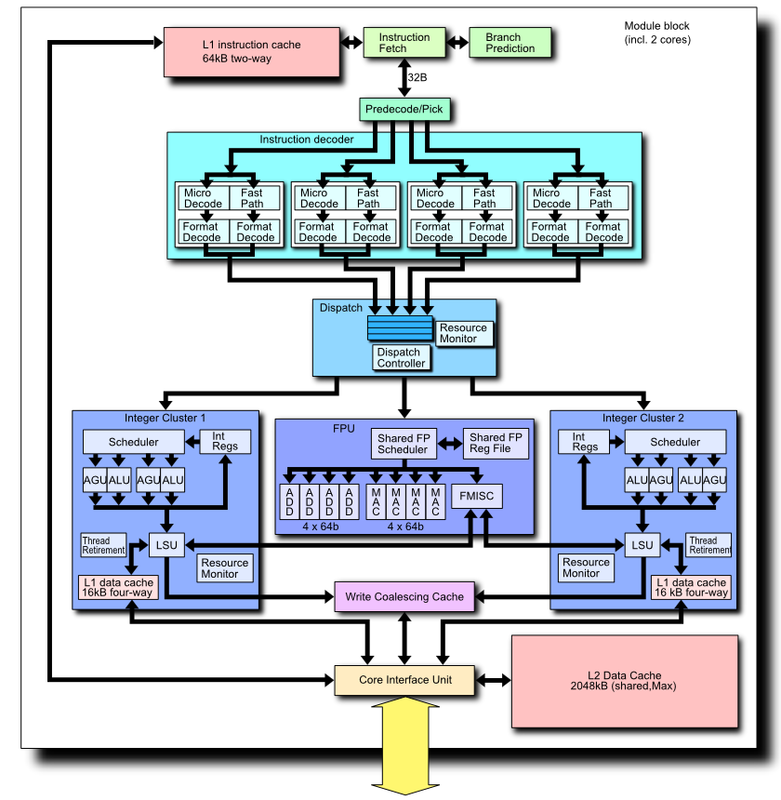 Usually, asynchronous RAM works in low-speed memory systems but not appropriate for modern high-speed memory systems. At present, the manufacturing of asynchronous RAM is quite low. Today, synchronous DRAM is used instead of the asynchronous DRAM. 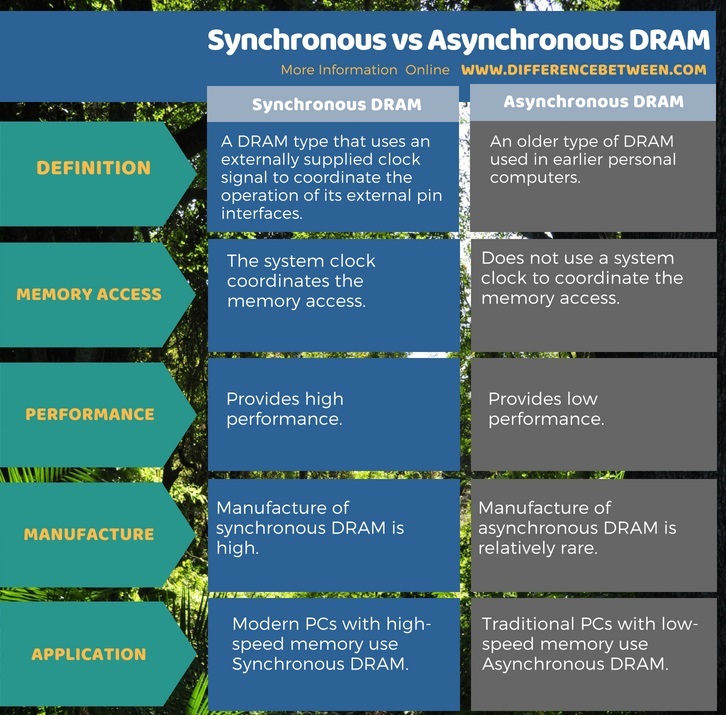 What is the Difference Between Synchronous and Asynchronous DRAM? Synchronous DRAM uses a system clock to coordinate memory accessing while Asynchronous DRAM does not use a system clock to synchronize or coordinate memory accessing. Synchronous DRAM is faster and efficient then asynchronous DRAM. Furthermore, synchronous DRAM provides high performance and better control than the asynchronous DRAM. Modern high-speed PCs uses synchronous DRAM while older low-speed PCs used asynchronous DRAM. The difference between synchronous and asynchronous DRAM is that synchronous DRAM uses the system clock to coordinate the memory access while asynchronous DRAM does not use the system clock to coordinate the memory accessing. In brief, the synchronous DRAM provides better control and high performance than the asynchronous DRAM.